The Symphony is a whole new beginning for both you and your musical hobby. The unique blend of high performance music making capability and easy play features make the Symphony the finest in its class. The carefully designed cabinet is elegantly beautiful in rich cherry or deep oak, whilst new ‘Virtual Orchestra’ technology produces a sound unlike any Lowrey before. We strongly feel that the Symphony redifines the whole concept of the home organ. 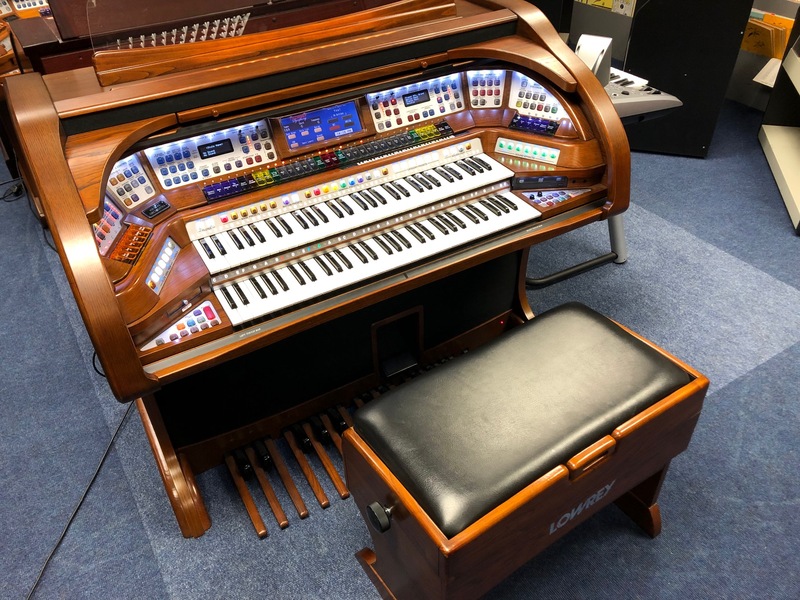 Building on the popularity of the Sterling Edition, the Symphony has been specified for the UK and European hobby player by us here at Allens Music Centre. There are over 7,500 presets in the Symphony that cover every possible musical style. To enhance your playing even further is a fully orchestrated rhythm section with new Pianist and Guitarist styles. 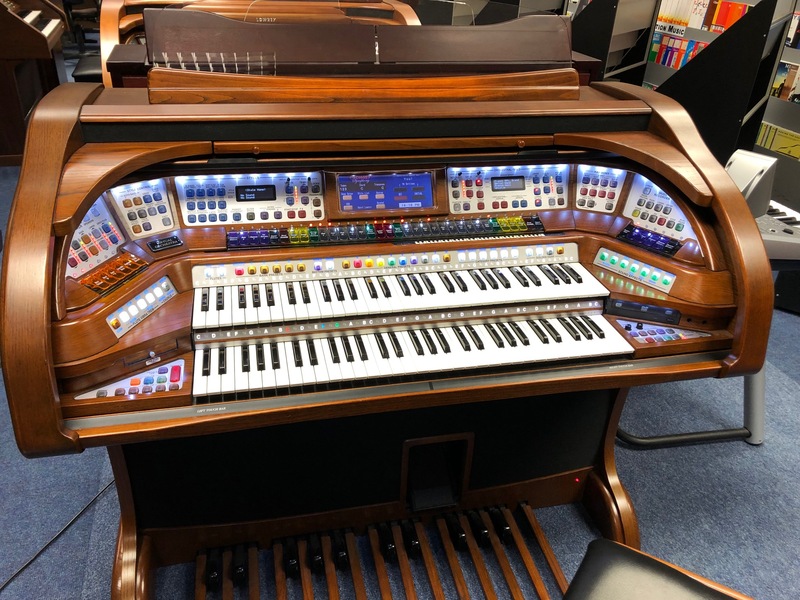 Couple this with a new large split colour touch screen, virtual speaker technology, amazing new orchestral and organ tones the Symphony is an instrument for any level of player. Featuring the latest technology from Lowrey, a USB memory stick and a built in CD recorder are some of the exciting features that promotes ease of use and compatibility. 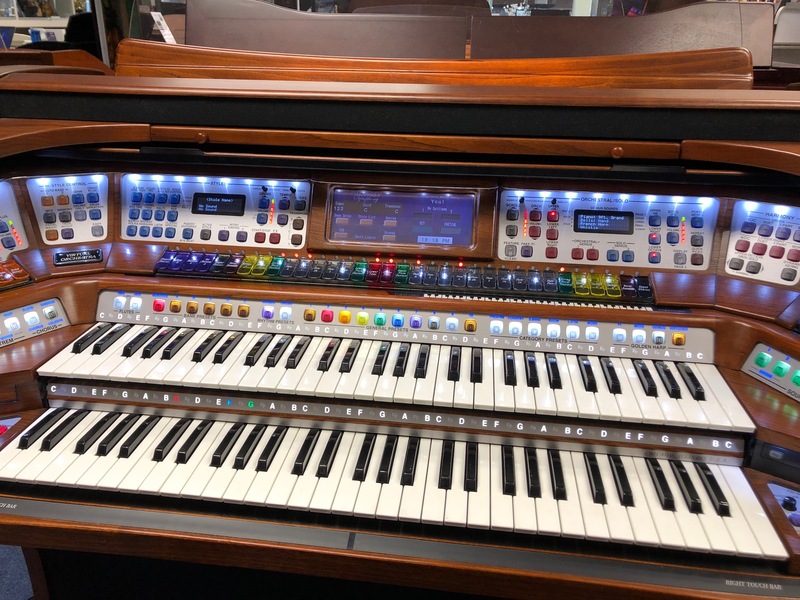 The unique styling and features coupled with the incredible sounds available makes the Lowrey Symphony an organ that truly is a privilege to play and to own.